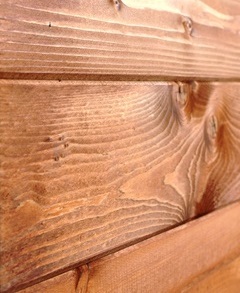 Scandinavian red wood used throughout, even in our weatherboard sheds! 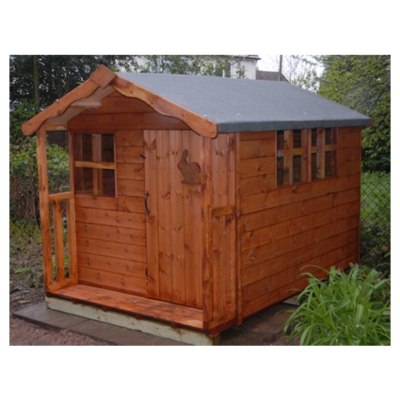 All of our sheds are built to the highest of quality ensuring you many happy years with your garden building! We only assemble sheds in the following post code areas: AL, B, CV, DE1-3, DE7-44, DE46-99, DY, GL54-56, HP, LE, LU, MK, NG1-33, NN, OX, PE1-10, PE15-19, PE26-29, SN7, ST14-29, WR, WS, WV If you live outside these areas please select the delivery only option. If you live in Scotland please contact us for a delivery quote. 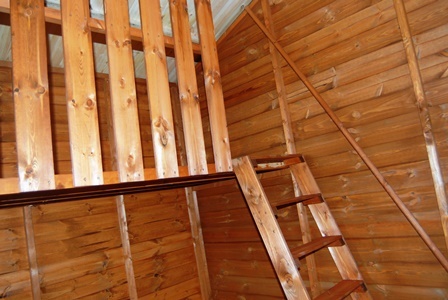 Two storeys for double fun!Our fabulous upstairs downstairs playhouse will keep the kids quiet for hours on end. Our upstairs downstairs Swiss chalet style playhouse is proving to be a popular bestseller which includes many attractive features. Inside is an impressive galleried landing accessed by wooden stairs with smooth round handrail. When upstairs kids are protected by floor to ceiling planed wooden slats and the upstairs ‘look out’ window allows them to see who’s coming! The door is fitted with a quality continuous safety hinge to ensure little fingers don’t get trapped, windows are fitted with safety glass and the framing is planed all round. The roof features pretty scalloped edged fascia boards and the front of the playhouse has a small verandah. Constructed to order by our team of highly experienced staff using high grade timber we are confident that you will be delighted with your playhouse., all playhouses are guaranteed. Choose an animal for your door when you order! 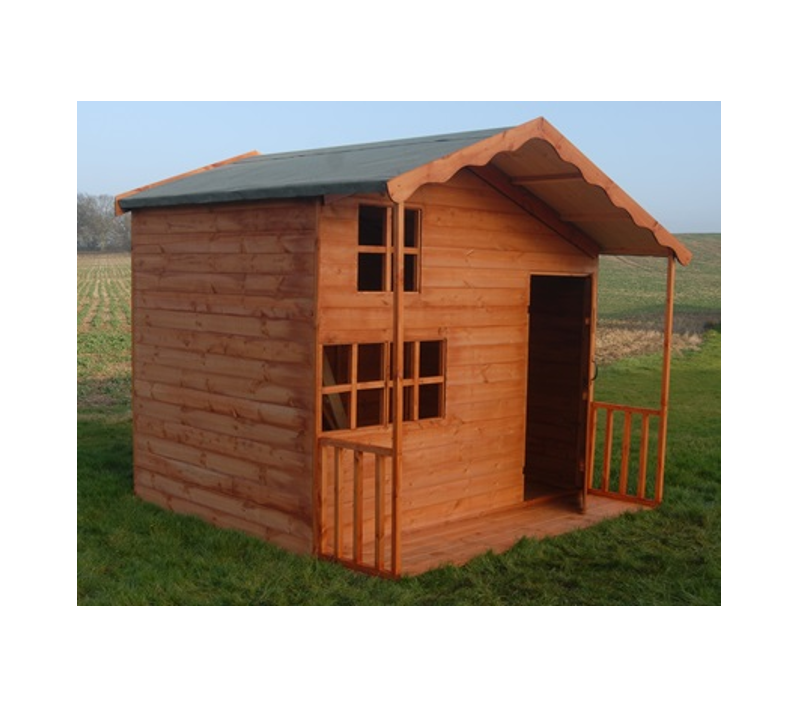 Sheds Northampton and surrounding areas – every garden building is made to order by our highly experienced workshop staff, it is then quality checked before delivery and assembly by our efficient and polite delivery team. 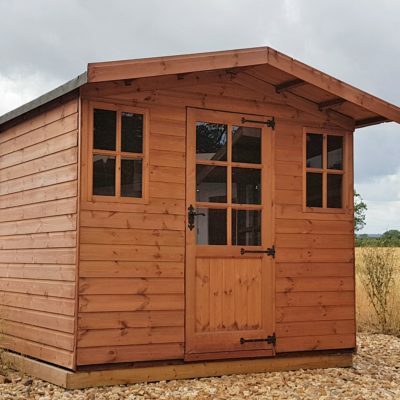 As a small family business, we pride ourselves on excellent customer service from the first contact through to the delivery and assembly of your garden shed.